Just booked a ticket for the the BMW festival with Alpina stand pass. 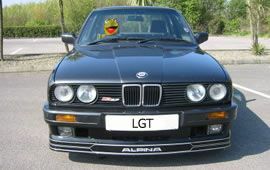 I have purchased a ticket, but due to a blown catalytic converter which is on order from ALPINA, I do not think it will be fixed in time. If it is then I shall bring the B7. I also have heard from Martin Goodwin one of the Directors of the BMW Club and the organiser of this event that NON club members are permitted to buy a ticket and park with ALPINA. This applies only to ALPINA and not other models. Tickets can be purchased via the BMW Car Club office. He also told me that as at 20th July 17 there are 13 cars who have bought tickets and asked for ALPINA parking. Everything booked Brian. Although by the look of things there will only be a handful of us attending. Terry and Martin E36 B3 3.2 Touring. 7) MCB (Terry&Martin) B3 3.2 Touring. 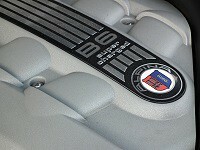 Andy Young B5S is going and I very much hope to have my B7 back by then. Please note if you are wanting to attend and are not a BMWCCGB Club member this is not an issue. The final day to purchase tickets and an ALPINA display pass is 3rd Aug 17 at 1630 by contacting the BMW Car club office. 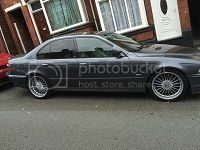 I am collecting my B7 tomorrow so shall be attending. 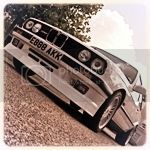 I had made a decision not to attend Gaydon this year however I have had a change of heart so I'll be there as normal ready to marshal all Alpina's into the display area.